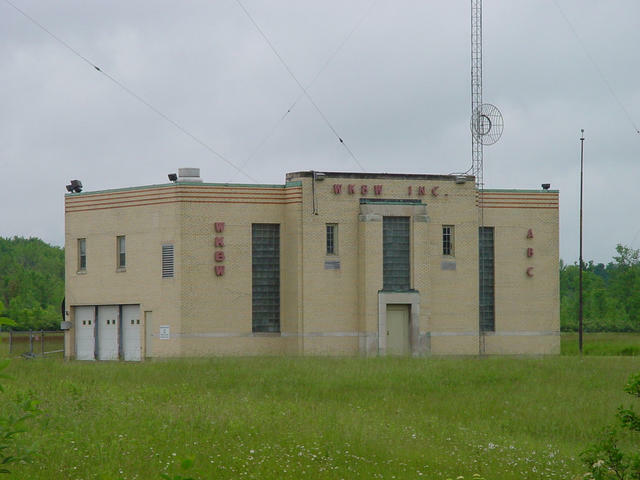 It wasn't that far out of our way, so we stopped on Big Tree Road in Hamburg to see the WWKB (1520 Buffalo, formerly WKBW)/WGR (550 Buffalo) transmitter site. When this facility was built, these stations were commonly owned. The duopoly rule in 1944 split the combination up, but then deregulation in the 1990s brought them back together under Entercom ownership.